This entry was tagged Christianity, does Jesus understand what I'm going through?, Is Jesus in Heaven? (gotquestions.org), Isaiah 55:6-7: “Seek the Lord while He may be found", Jesus intercedes for us (Rom. 8:34), salvation, sitting with Christ in the "heavenly realms" (Eph. 2:1-9), What is Jesus doing now?, Where Is Jesus Now?, Why does Scripture emphasize the right hand of God?. Bookmark the permalink. Wow!!! I am very impressed with how you have so effortlessly encapsulated so many theological truths that touch our our common Christian lives here and now. Reflected in your statement . 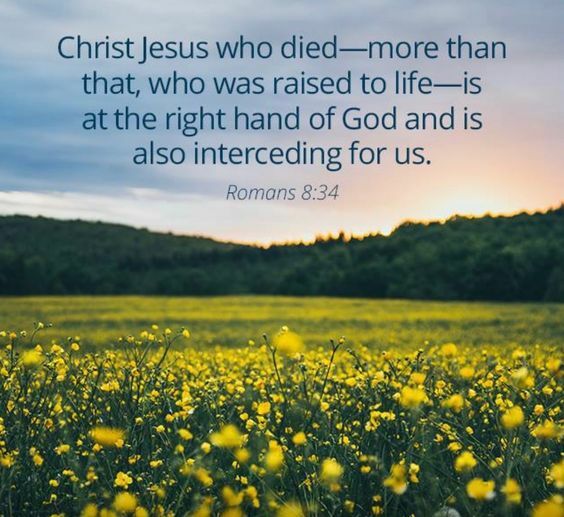 It is a gift from the Lord to be able to see that what Christ has done for us in the atonement is a “means” that brings us into “Union with Christ”, so that we , now are kept by Him and safe even as we meet difficulties or even physical death. Thank-you for reminding me of such truth. Thank you for your kind words. I credit God for clarifying any theological truths, as I often struggle finding the right words. But God is good. He fills in the gaps. I love how you put it: “the atonement is a ‘means’ that brings us into ‘Union with Christ’, so that we, now are kept by Him and safe even as we meet difficulties or even physical death.” What an encouragement. . . . Blessings!